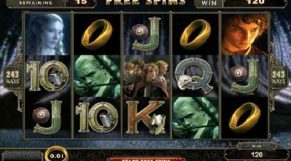 In 1994, a company by the name of Microgaming introduced us to the marvel that is online casinos and since then we have seen an incredible rise in slots popularity, this has enabled developers to go further with the technology. 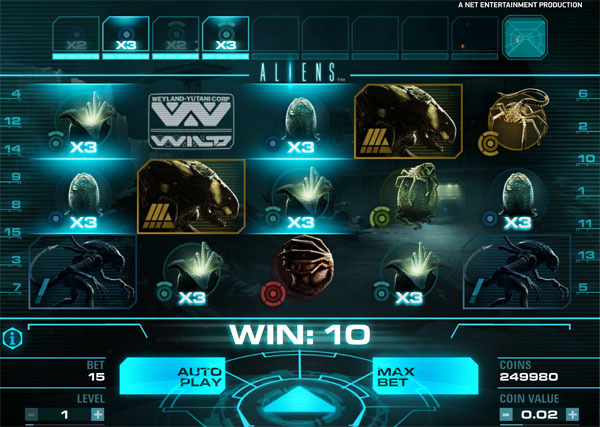 These days, there are thousands to choose from when you play casino games online. 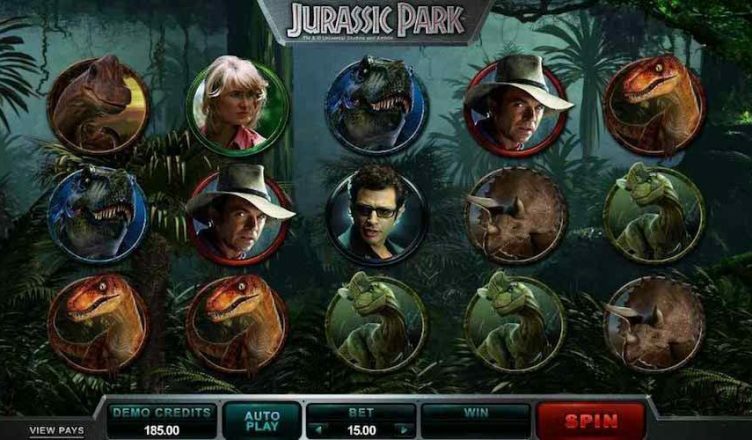 Casinos with massive budgets are rolling out 3D games with spectacular immersive environments, unbridled video-sequences and breath-taking animations that depict blockbuster movies. Everyone is familiar with this blockbuster movie that features an eccentric old man that manages to grow real life sized dinosaurs and has the wonderful idea of turning this prehistoric zoo into some sort of theme park. As you would expect, the worst happens and once again mankind is left to pick up the pieces. Don’t we ever learn? Obviously not, as the franchise is still going strong making sequels. 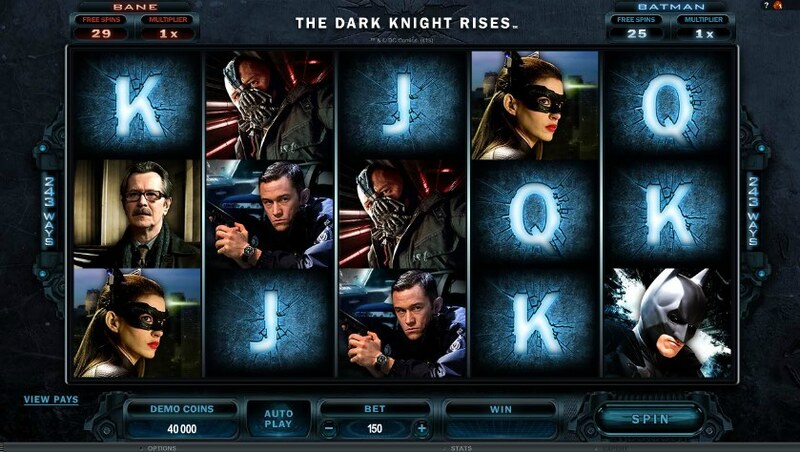 Microgaming is at it again with an amazing take on the cult classic Batman: The Dark Knight Rises. With 5 reels and 243 paylines you too can feel like the caped crusader as you are immersed in the non-stop action scenes trying to best your adversaries. 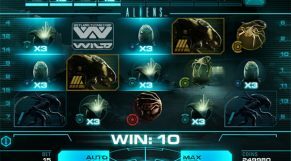 Based on the hit movie starring Sigourney Weaver who, with a team of space travelers from earth unwittingly allow an alien aboard their ship, then proceeds to cause unimaginable chaos. So far there have been at least 3 sequels so we can definitely expect thrills and chills from this classic. Everyone is familiar with this childhood classic of the girl who is whisked away into a world of fairy tales and adventure, not to mention a queen that has an insatiable lust for lopping off the heads of anyone who gets on her bad side. 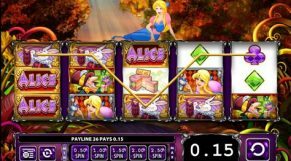 This themed slot that is filled with nostalgia boasts 5 reels and 30 paylines with a jackpot of 5000 coins and an insane amount features. 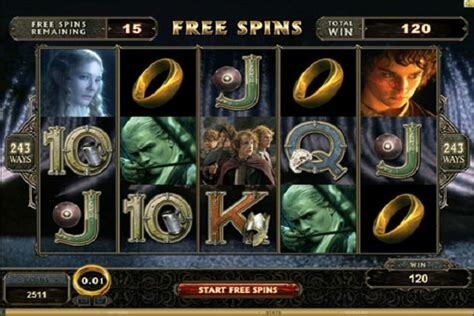 Based on the award winning movie by J.R.Tolkien, this video slot has some of the best graphics featured in any slot. The coolest thing about the game is that fans can relive the movie with its clips from the actual blockbuster. 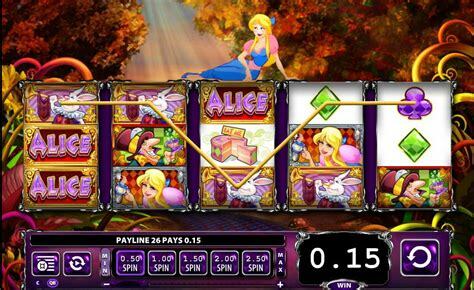 Packed with a variety of features and bonus rounds it offers 5 reels with 243 paylines. These are just a few of the iconic games based on blockbusters from days gone by, and as game developers battle for the top spot we can only expect great things from video slots.